Sunday, 3 March 2019, 10:35a.m. 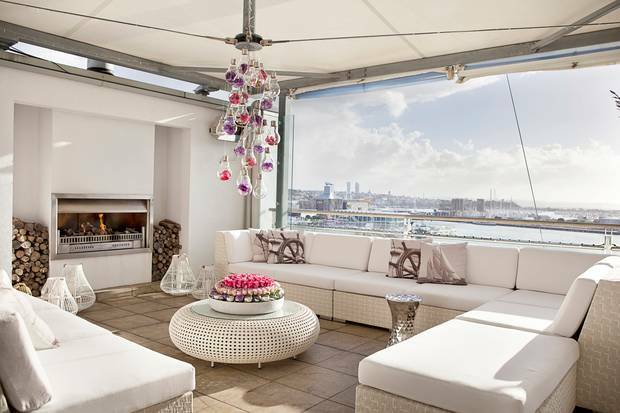 Kim Dotcom is being sued over cosmetic changes he made to a $4.1 million penthouse he rented - changes he says enhanced the value of the property. The changes include swapping white carpet for black, installing astro turf on the decks and altering walls to carry his communications and media equipment. 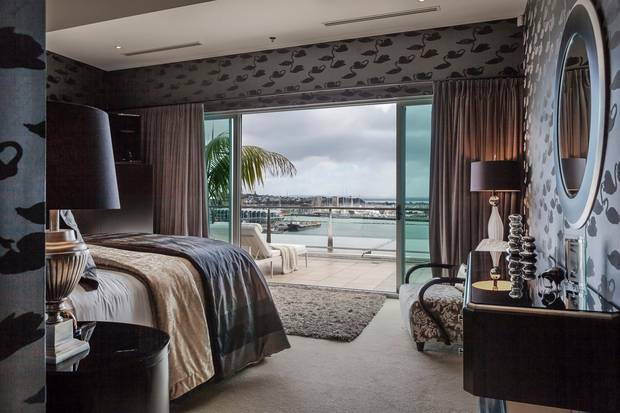 It is understood the owners claim they agreed for Dotcom to make alterations on the understanding he would later buy the luxury apartment opposite the Hilton Hotel on Princes Wharf on Auckland's waterfront. The sale did not eventuate and Dotcom, whose black attire and black cars have long been part of his image, moved out in 2017. Now a civil lawsuit has been filed in the Auckland District Court. It is understood the owners, Old Church Limited, are seeking between $200,000 and $300,000. However, Dotcom told the Herald on Sunday the landlord was making "false claims". "We left the penthouse in a much better condition than we found it." Dotcom moved into the penthouse, which had a ratings value of $4.1 million in July 2017, in 2015. He said the changes he made enhanced the value of the property and were agreed with the owner. "In fact, the penthouse was in bad shape prior to us moving in because it was rented out as a wedding venue and for corporate parties. "The carpets had tobacco burns and wine marks and all walls had bad scratches. We had to recarpet and repaint the entire penthouse. "My legal team will handle this and I'm not concerned." The company which owns the penthouse, Old Church Limited, is owned by Karen Sandler and she and her husband, Paul Hill, are directors, according to filings in the Companies Office. Sandler is an American businesswoman and Hill is a New Zealander with a background in farming. 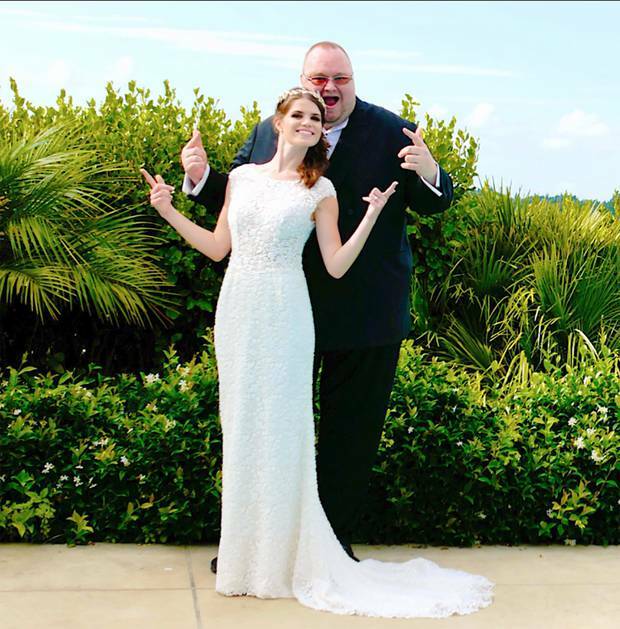 Kim Dotcom with his wife Liz. Sandler and Hill split their time between New Zealand, Hawaii and Thailand. Their lawyer, James Donkin, said his clients didn't want to comment. Donkin said he was unable to confirm indications the Princess Wharf penthouse apartment is on the market. No hearing date has yet been set. The company name - Old Church Limited - may be inspired by a conversion of a historic Hawkes' Bay church into a restaurant, bar and function venue Sandler and Hill did a decade ago. They bought the rundown St Mary's Catholic Church in Meeanee near Napier and renamed it The Old Church. Although a thriving business was the result, Hill reportedly told the Napier City Council, he and Sandler had shelved further projects in the area because of "constant hurdles" put in their way by the council. Dealing with the council was "arduous" and pushed compliance and resource consent costs up by more than $200,000, Hawkes Bay Today reported Hill telling a council meeting. Sandler also owned land on the Coromandel Peninsula. In 2017, permission was granted by the Overseas Investment Office for a family trust associated with Sandler to sell to a US citizen a 53ha property at Hahei on the Coromandel Peninsula for $6.18 million. Dotcom moved to Queenstown in April 2018 with his wife Liz. Dotcom and others are accused of operating a worldwide conspiracy through file sharing company Megaupload and associated companies. While the legality of an application by the United States to extradite Dotcom for trial is argued in New Zealand courts (a hearing in the Supreme Court is set for June), his assets were frozen except for living expenses. But in August 2017, the High Court in Hong Kong varied the orders, releasing $648,000 to Dotcom for the cost of relocating from Auckland to a rented home near Queenstown.